A trustful relationship between teacher and student is fundamental when it comes to the question of what makes teaching and learning work in the classroom. Most researchers have been content with simply examining teachers' subject knowledge and teaching methods. The aim of this study is to highlight the trustful relationship between teacher and student from the teachers' point of view. Taking both experience and bodily views into account allows for another way of understanding relationships in the classroom. This is accomplished through the use of a lifeworld phenomenological approach and the concepts of the lived body, lived space and lived time described by Merleau-Ponty (1962/2008). The empirical material on which this article is based was collected by fieldwork in five different compulsory schools in Sweden. In this article I discuss how these lived aspects help to describe a multifaceted relationship. The article also shows that these lived aspects influence relationships through the organisation of activities in the classroom. The article discusses how these lived aspects influence the relationship between the teacher and the student, as well as how they influence the student's opportunities to learn in school. This study shows that these lived aspects need to be taken seriously in order for teaching and learning to work. Trust is something that can be found on different levels in society. When it comes to school these different levels of trust are often dependent on each other. On an abstract level, trust can be seen as a generalisation of trust on the primary and interpersonal level (Seligman, 1997). On this level, trust also concerns a fundamental manner in life, a natural attitude in the lived world. Lögstrup's (1956/1992) ethical demand means that trust is natural and spontaneous. Teachers are supposed to educate the new generation. In terms of trust, the educational system is built on the condition that there is a confidence that schools are able to educate the citizens of society. On a concrete level, the citizens need to trust their own educational system and it is important that the parents of the students have confidence in the schools which their children attend. On an individual level, which is the level on which this study focused, the relationship between the teacher and the student often rests on trust. According to Bingham and Sidorkin (2004), there is a long tradition of emphasizing social relations in connection with education. This tradition is mainly philosophical and represented by philosophers such as Aristotle, Buber, Bakhtin, Dewey, Gadamer and Heidegger. Bingham and Sidorkin (2004) argue for 'a pedagogy' of social relations connected to school practice. They state that the need for this is increasing in the school context of the Western world due to the continuing wave of educational reforms that centre on accountability and academic achievement. Most research concerning social relations focuses on how these relations influence the students' results; fewer researchers are interested in how these intersubjective relations are expressed (Aspelin & Persson, 2011; Biesta, 2009; Bingham & Sidorkin, 2004). Research examining the significance of relationships between teachers and students clearly shows that these relationships are important for the students' results and for their well-being (Jennings & Greenberg, 2009; Lee, 2007; Wentzel, Battle, Russel, & Looney, 2010). Frelin (2010) argues that the relational dimension of education, which involves the establishment and maintenance of educational relationships, is an underestimated and under-researched dimension of teachers' practice and professionalism. Her research results suggest that in order to exist, educational relationships in school often require conscious attention, rigorous work and delicate negotiations on the part of teachers. Fibaek Laursen (2004) confirms this picture in his research, which discusses teacher authenticity as the core of the teaching profession. Van Manen (1991/2003) also argues that teachers need to possess pedagogical tact, which consists of a complex mixture of abilities and competencies, in order to care of a child. This article discusses how trustful relationships between teachers and students can be expressed. The aim is to contribute to a new way of looking at trustful relationships between teacher and student and to demonstrate that these relationships are multifaceted and complex. This study makes use of a phenomenological lifeworld approach. This approach suggests that the lifeworld is the reality that people take for granted in their lives. The lifeworld is something more than just the physical world; it is a complex and intertwined reality. The lifeworld is connected to a subject that experiences it, but who also lives and acts in the lifeworld (Bengtsson, 1999/2005). Edmund Husserl introduced the concept of lifeworld in an epistemological context. His ambition was to find the basis for an absolute and safe ground for scientific knowledge. The concept was further developed by Martin Heidegger, who used it in an ontological project. Heidegger's ultimate aim was to understand being. Maurice Merleau-Ponty also developed the idea of the lifeworld. Merleau-Ponty sought to understand the mediation of being by perception, and the ambiguous existence of being. In this sense, Merleau-Ponty's project was also ontological (Bengtsson, 1999/2005). According to Merleau-Ponty (1962/2008) we are to-the-world. This means that it is not possible to step out of the lifeworld; people simultaneously influence the world around them and are influenced by the world around them. For a researcher, this implies that it is not possible to observe the world from the outside; instead the researcher is always part of the world. Husserl stated that humans lack distance from the world since they are primarily and spontaneously engaged in the world. Phenomena are never experienced as well-defined single objects that can be identified in a univocal way. Husserl calls this approach pre-predicative (Bengtsson, 1998). The 'we-relation', as Schütz (1967/1980) terms it, means that both individuals are present and aware of the other's attention. In order to reach a 'we-relation', the teacher not only needs to see the student as a student, but also needs to see the student as the child or the young person that the student is from the point of view of his or her lifeworld. This situation also relates to what Schütz (1967/1980) calls the 'thou-orientation'. When a teacher is 'thou-oriented', he or she understands different expressions of the student's experiences but the student is not directed towards the teacher. The 'thou-orientation' is thus one-sided. Schütz (1967/1980) also describes a 'they-orientation'. The object of a 'they-orientation' is a personal ideal type without any intrinsic reference to persons. The body is a special object. We can move other objects around and look at them from different angles but we cannot step out of our body and look at it from another direction. Our own body is the subject which moves things, and as such the body is not a thing, but the subject of the actions (Bengtsson, 1988/2001). The bodily and the mental aspects form a working unit that only can be separated by abstraction (Bengtsson, 1998). Our own body is our means of accessing the world and thus the world can only be experienced from different perspectives. The world is always given in concrete and diverse situations with open horizons (Bengtsson, 1988/2001). Merleau-Ponty (1962/2008) also provides the concepts of lived space and lived time. As a subject, our body is not in a room like a thing. Instead, it inhabits both the room and time. Lived space and lived time arise for my body through its being-to-the-world; that is, through its interaction and communication with the world (Bengtsson, 1988/2001). The body is related to and communicates with its surroundings. Time is open and related in different directions, both forward and backward. Memory, of course, has its focus on the past and planning focuses on what is to come. Lived time is related to our lives as subjects and includes our experience of time. Lived time is not something static but is an on-going movement that relates to the individual's being-to-the world. Space and time shape themselves in front of me in my activities. The geometrical room and chronological time do not constitute the foundation of lived space and lived time. However, the geometrical room and chronological time are attempts to imagine lived space and lived time and control them with mathematical constructions (Bengtsson, 1988/2001). Lögstrup (1956/1992) wrote about trust and the ethical demand. One of the aims of the ethical demand is that an individual has a responsibility to meet the other person in the way that is the best for him or her. A meeting is always a matter of power and of responsibility. When it comes to relationships between adults and children, the adult has more responsibility than the child to meet the other in an ethical way (Lögstrup, 1956/1992). According to Lögstrup (1956/1992), the normal way of meeting another person is to meet him or her with natural trust. Trust is more primary and fundamental than mistrust. Mistrust is something that must be pondered and justified, but this is not needed with trust. Trust is fundamental and spontaneous. It is part of being a human. Doing anything else would be hostile to life itself; our lives would wither if we met each other with mistrust. As a consequence of this, individuals take a risk in meeting another person since they expose themselves by showing trust. This way of looking at trust focuses on the natural attitude. The natural attitude implies that things and situations are taken for granted. Despite the fact that the relationship is asymmetric, the relationship between teacher and student is something that exists between the two individuals and not within either of them. The ethical demand of Lögstrup (1956/1992) presupposes that the individual with the most power is tacitly required to use this power for the other's best. Trustful relations between the teacher and the student are a foundation for teaching and necessary for teaching to work. Trustful relationships in school are necessarily mutual; if they are not mutual then they cease to be trustful relationships. Relationships built on mutual trust often withstand challenges. The four participants in the study are teachers1 who teach classes in Swedish compulsory schools. Karen has been a teacher for 30 years and at the time of the observations she taught ten-year-old students. Susanna has been a teacher for nine years and her students are seven and eight years old. Nils has been a teacher for eight years and his students are between twelve and fifteen years. He teaches Swedish and English. Sophie's students were twelve to thirteen years old during the observations. She has been a teacher for twelve years. These teachers were invited to participate in the study because they teach in the Swedish compulsory school system and because they work in schools situated in different types of residential and socio-economic areas. The students in the classes were asked if they wanted to participate in the study and their parents were also asked and gave their permission. The teacher, the student and his/her parents all signed consent forms. The smallest school included in the study has approximately 170 students, while the largest school has about 700 students. One school is situated in a well-off area, while the other schools are situated in mixed areas. One of the schools has a large number of students from foreign countries. The schools themselves were not engaged in the study as the research was agreed upon by the teachers and the researcher. However, the headmasters did approve the observations. In this study observations were selected as the method of data collection. The lifeworld phenomenological approach does not specify a particular method of data collection. Instead, the method chosen should best suit the research question and the current lifeworld ontology. Interviews were considered as a method of data collection. However, a conversation about trustful relations must always take place in retrospect and there is thus a risk that the discussion will focus on how the teachers want things to be rather than on what is actually happening. Using observations to collect data gives the researcher an opportunity to participate in people's lifeworlds. Observations are conducted while things are happening and it is therefore possible to observe both what teachers and students say, their gestures and facial expressions, and their actions. Since one of the aims of this study was to describe how a trustful relation between teacher and students can be expressed, it was decided that observations would be the most suitable method of data collection. Each teacher was observed for some 30 hours during a period of approximately four months. In parallel with the observations, unstructured dialogues were also conducted with the teachers and with the students. The observations were written during class-time and the notes were typed the same day. The first interpretation was consequently done in the classroom when selecting what episode to observe and how to understand this episode. This was then followed by further interpretations during the analysis work. The teachers were given the chance to read the notes from the observations. Some of the teachers read all the notes and some of the teachers just read the notes from the first few of days. None of the teachers expressed any opinions about the notes. During the period of observation there were a lot of opportunities to discuss what happened in the classroom with the teachers and sometimes with the students. For this article, selections of situations from four teachers in the study have been used to describe how the lived aspects of the body, space and time are of importance for the possibility of establishing trustful relations. This study is based on the assumption that actions, both verbal and non-verbal, directed towards the other, have meaning and can be interpreted. The actions observed in this study are viewed as an ongoing process that continues as long as the cooperation between the teacher and the pupil continues. The philosophy of Heidegger (1993) is a philosophy of action. He established the concept of pre-understanding, which implies that individuals are all already thrown into a world of meaning and must understand everything from within this world. Heidegger (1993) suggests that since actions are central for our existence, it is by actions that we understand each other. Heidegger (1993) also suggests that we understand the other both in the situation in which they are encountered and by the actions they perform (Johansson, 1999). The lifeworld phenomenological approach has no fixed model for analysing empirical material (Bengtsson, 1999/2005). Instead, flexibility in relation to the phenomena (i.e., what is shown to the researcher) is considered important. For this study, the analysis process was similar to the hermeneutical circle and involved a constant oscillation between the part and the whole. This process took place during several readings of and discussions about the notes based on the observations. The aim within the lifeworld phenomenological approach is to try to understand the participants as subjects in a particular environment (Bengtsson, 2013). This study takes its position from a lifeworld approach and the aim was therefore not to discover the subjective meaning of the participants' statements or behaviour. Instead, the study focused on that which was expressed, on the meaning seen in a special situation, in a specific context, at a particular time and in relation to other people (Bengtsson, 2013). Susanna is one of the teachers at Oak School. Her pupils are seven and eight years old. This afternoon, she only has her grade one students in the classroom, ten children in total. The other students in class have already finished their school day and are now in after-school recreation. The group spends about forty minutes filling in their development plans2. When this is done they give the plans to Susanna. Once she has received all the papers, she asks the students to form a circle standing on the floor. They are going to jump in "2-leaps", which was their homework last week. They jump 2-4-6 and so on until 20. After that, they stand with their backs towards the centre of the ring and jump backwards until they are all in a clump in the middle, 20-18-16 and so on. Then it is time for the "5-leaps". -Now, all of you can be cool, Susanna says. Click your fingers while we count. -I have an idea, Cornelia says. Half of us click our fingers and say five, and the rest clap their hands and say ten. -Okay, let's do as Cornelia suggests, Susanna says. And the group of children starts counting in 5-leaps up to a hundred, while clicking and clapping. After this, the students are quite exhilarated. Susanna lowers her voice and says that she wants them to fetch their reading books. This situation serves as an example of Susanna using the students' lived body for a few different reasons. One of the reasons is that she wants the students to learn by feeling the 2- and 5-leaps in their body. It is a way to become familiar with numbers and they need this familiarity in order to be able to count and use the different rules of arithmetic. It is also a matter of organisation in the classroom; after having been seated at their desks for about 40 minutes concentrating and writing their development plans, the children need a break to be able to concentrate on reading their prescribed books, which they are going to do next. When Susanna regards her students' needs, she makes it possible for them to do what she thinks they need in order to learn in both mathematics and reading. Susanna views her students as embodied subjects; this is a part of her natural attitude. The students are not objects for her in this situation, as students can be when they and the teacher are in a 'they-orientation' (Schütz, 1967/1980). In this situation, the lived body is a subject in which both the body and the mind form a working unit. 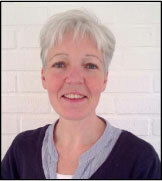 Susanna organises the lesson in a way that she believes gives the students the best chance of learning. By using time from the lesson to let the students learn number sense with the whole body, she makes a decision that results in students learning and enjoying the lesson. In this way, more students learnt and enjoyed the lesson than what would have occurred if she had just used a part of the students' lived bodies, the cognitive part, as is mostly done in school. The students in Susanna's class can trust that she does all that she can to give them the best possible opportunity to learn. According to the ethical demand, Susanna, who has the power to organise the lesson, has a responsibility to arrange the students' opportunities to learn in the way that is best for her students. The students in Susanna's class have been with her for one and a half years and know that she organises their learning in this way. This is not something that the students reflect on; instead it seems to belong to the students' natural attitude. Nils works at Pine School. He is a Swedish and English teacher for seventh, eighth and ninth grade students. This lesson is with his eighth grade students and the subject is Swedish. When we arrive in the classroom, the chairs are on the desks and Nils starts to take them down while the students arrive. It is not quiet in the classroom when the lesson starts. Nils stands beside two boys who are talking and he puts his hands on their shoulders and asks them to be quiet. He then moves a bit and stands in front of the whiteboard. He just stands still waiting for the class. After a while, all the students turn towards Nils and are quiet. He says hello and starts to talk about an essay the class has been writing. By just standing and waiting he tells the class, without using words, that he wants their attention. After a while, they notice and do as Nils expects. Before this situation, waiting in front of the class, he turns to two boys and by putting his hands on their shoulders while asking them to be quiet, he reaches them in a closer way than if he just had talked to them. He uses his body to communicate with his students and this gives more emphasis than just the distanced communication of his voice. The lived body is related to and influenced by its surroundings. All the students know that they are supposed to be quiet when the lesson starts but they also understand that when someone just stands there looking at them in a classroom, it may mean that this person wants something. They understand his body language as well as knowing the rules of a lesson. It is the teacher's responsibility to see to it that the lesson starts. In this situation the teacher first has a 'we-relation' with the boys he asks to be quiet. For a few seconds both parties are present and aware of each other. Then he has a 'thou-orientation' towards his students. He is aware of their experiences of this particular situation, he knows that they know that a lesson is about to begin. He is also aware of the students' expectations of him, that he is the one who will start the work. This is a part of their natural attitude. If Nils did not take this responsibility there would have been less time for the students to learn Swedish and their trust in the teacher's ability to give them opportunities to learn would presumably decrease. This would probably also influence the trustful relation between the teacher and the students. At Elm School, Karen is a teacher and her students are ten years old and in the fourth grade. Every morning they start the school day with silent reading, each one reading from his or her own book, for about 20 minutes. Karen also reads while the students read. Before the lesson starts, Karen opens the classroom and turns on the CD-player and plays some calm music. While she prepares for the day in another building, her students arrive in the classroom. At eight o'clock, the lesson starts without Karen saying anything. She lights two candles and starts reading and so do the students. The music is still playing. Karen tells me that she wants the day to start in a peaceful way and she uses the music and the candles to create a space of calm in the grey and boring classroom. The classroom is situated in a temporary pavilion that is set up in the schoolyard. Karen thinks this gives the students a good start to the day and that this gives them good opportunities to learn. By creating this peaceful room she is also creating something special for her students; they are worth the music and the candles. The students like this cosy start to the day, although they probably do not reflect on what Karen arranges for them. She also organises a good space for reading. The lived space is cosy and calm, even though the classroom is dull. The lived space appears before the students through their interaction with the room they inhabit. A trustful relation between teacher and students is a foundation that allows teaching and learning to work. By exerting herself and creating a room that she thinks is good for her students, Karen sees her students not only as students but as individuals that are influenced by the surroundings. Karen takes responsibility for their learning environment, hoping to support the students' feelings of well-being as well as the opportunities for them to improve their reading ability. The students in Karen's class can trust that their teacher wants and works for their best in different ways. During this time she looks at them not only as cognitive beings, but also as lived bodies. By arranging the classroom in a way that she thinks is better for her students, she fulfils an ethical demand. Sophie works at Spruce School, which is a big school with students aged six to fifteen. Sophie's students are in the sixth grade and their classroom borders a big corridor where the oldest students in the school walk and sit during the school day. After a break, the class starts to work immediately. They are supposed to look in their OW-books3 to know what work to do. Most students take their books and walk away from the classroom. They spread out in other spaces, such as small group rooms, the corridor and a study hall. Those who want help from the teacher stay in the classroom and those who think that they can manage on their own are allowed to work elsewhere. Sophie finds all of the students during the lesson because she takes a walk to the other spaces. Sophie tells me that this way of organising the lessons works because she knows the students. She has been their teacher since third grade, and she trusts them. She also has a control system at the end of every week. She wants them to learn to take more and more responsibility for their own work and by using spaces other than the classroom, where the pupils can work without the teacher's inspecting eyes, she gives them responsibility and independence. This class occurs in September, the beginning of the autumn term. Later, in November, when I come to the school after a two-week break in observations, things have changed. When it is time for a lesson with their 'own work', Sophie tells the class that they all must stay and work in the classroom. She has been away for training for two weeks and the class has had a supply teacher. During this period, the students have not taken responsibility for their own work. Sophie tells them that she is disappointed. Sophie uses different rooms in the school in order to help the students learn how to take responsibility for their own work. This method of organisation works in a good way since it is built upon trust between the teacher and her students. When she is away, this system breaks down as the students, according to Sophie, do not have the same trust in the supply teacher and the supply teacher probably does not have the same trust in the students. The supply teacher is not important enough for the students to do what is expected of them during lessons. They take advantage of the situation and play around and chat instead of doing their work. They do not learn what they are supposed to learn. When Sophie comes back, she has to do something. She shows them that she is disappointed and that her trust in their ability to take responsibility for their own work is broken. To prevent the students from continuing to play around instead of working, Sophie wants them to stay in the classroom. She wants to encourage her students to work during the lessons and she uses the classroom to reach them all. The room is shaped in front of the students by their activities. The corridor and the study-hall were rooms for work but then became rooms for chat and play instead of for work. The classroom remains a room for work. The teacher is there to see that the students work. Without saying or doing anything special there is an interaction between Sophie and her students that inhabits the room. Trust was initially mutual but in this case the teacher lost her trust in the students' wishes to take responsibility for their work. Her responsibility is to make sure that the students do their work in order to be able to learn. To accomplish this Sophie uses lived space. She gave the students her trust to do their work outside the classroom so they could create rooms for study through their lived relations in the room. The example mentioned above, when Nils has to wait for his students to become silent, is what happens in most classrooms, including Karen's classroom. All the students are sitting at their desks after the break but they are speaking and they are not facing towards the teacher. - It's time to start now, Karen says. But she still has to wait. - Okay, she says. Now I want you to feel that the break is over and that the lesson has started. She still has to wait another second before it is quiet in the room. Time is lived but it is chronological time that shows when it is time for the lesson to start. However, Karen's students are still in 'break time'. Different dimensions of time, the past, the present and the future, are experienced in varying ways by different persons. In the example above, the students still have a break, while Karen is ready to begin, eager to use the time for the students' learning. The moment is experienced in different ways. The lived time is not static, but an on-going movement that relates to each particular being-to-the world. Time-for-break is supposed to become time-for-work and it is Karen's responsibility to make this happen. In a trustful relationship, the students in Karen's class can depend on their teacher taking the responsibility for starting the lesson and Karen can trust that the students will respond to the request and move from 'break time' to 'lesson time'. This is what happens several times every day in both the students' and the teachers' school lives. When this interaction between teacher and class works, it is a trustful relationship; this procedure is a part of the natural attitude. The school day is organised into lessons and breaks, and it is the clock and the teacher that give the signal for when it is time for another activity. As the time is shaped in front of the various individuals in their activities, a lesson can feel like an eternity for a student but for the teacher it is too little time for everything he or she wants to accomplish. It is of importance that the teacher is aware of the students' lived time and of how the students experience time. For teaching to work, the teacher needs to handle this knowledge in a way that leads forward so that possibilities for learning can be achieved. -First lesson tomorrow morning, we will have another test like this. Last Thursday, only four of you came on time, and tomorrow I may be fair and wait for five minutes, but then I will lock the door and I won't open it until the lesson ends. In this situation, both the teacher and the students have a 'thou-orientation'; both parties see the other's experiences from within his or her own stream of consciousness. Nils talks to the class as a whole and the students look at him and listen. What is shown in this situation is a seriousness and frankness from the teacher and from the students. Most students in this class are late for their lesson. What they are doing during the break is more important to them than the lesson, even though they have national tests. Maybe they allow themselves to stay in break time longer than the schedule allows because they do it together, the students' lived time is dependent upon their interaction with the world. To lock the door is a simple way to make the students understand that it is the chronological time that rules, not the students' lived time. It is also a way of showing the students that the lessons and their learning are important. Furthermore, it is a way to show that those who arrive on time deserve to write their test in peace and quiet. Since many of the students do not respect the time when the lesson starts, Nils has to organise his teaching in such a way to ensure that they arrive on time. Nils takes responsibility for doing what is best for the students and tries to put an end to them being late. He probably understands his students' situation and he also realises that if he does not act, there is a risk that these students will continue to be late. That would not be optimum for their opportunities to learn. In a trustful relationship the students in Nils' class take for granted that their teacher organises the teaching in a way that is for their best. Often, when discussing teaching and learning, the relationship between the teacher and the subject content and the relationship between the student and the subject content are highlighted. The results in this study show that the relationship between the teacher and the student is also important both in terms of the student's opportunities to learn as well as in terms of the student's wellbeing. A trustful relationship is a necessary condition for teaching and learning to work. In the ethical demand, as Lögstrup (1956/1992) describes it, trust is fundamental and spontaneous. It is also presupposed that the one with most power (the teacher in the school context) uses this power for the best interest of the other (the student). This is what the teachers in this study do in the described situations. They do not only think about teaching their subject and simply expecting their students to learn. They care about the whole student, not only in relation to learning but also in relation to the student's wellbeing. The students can trust that the teachers follow the ethical demand. In a pre-predictive way the teachers accept and use the fact that the body, space and time are lived. The exception is the situation when Sophie's class had a supply teacher for two weeks. According to Sophie, the supply teacher and the class did not establish a trustful relationship; instead both parties mistrusted each other. Notwithstanding the fact that the ideals of accountability, efficiency, best practice and results currently dominate schooling in the Western world (Bingham & Sidorkin, 2006), the teachers in this study show their engagement and their genuine will to create a way of teaching that is in the students' best interests. They are aware of and take into account the students' lived bodies and the meaning of lived space and lived time. The effort to find the balance between freedom and control is constantly present. In this work, the teachers' ambition to understand their students as whole human beings in the world is a valuable resource; for example, being aware of the needs of the students' path through school and creating as good an opportunity as possible for the students to learn. A limitation in this study is, of course, that the teachers who participated are teachers who feel so confident in their work and have such good relationships with their students that they want to open their classrooms to an observer. Not all teachers are able to or interested in creating trustful relationships with their students to the same extent as the teachers in this study. Using these excerpts showing common situations from different classrooms, I want to emphasise both how trustful relationships between teacher and student can be expressed and how the lived aspects of the body, space and time form part of a trustful relationship. The results show that the lived notions open up a many-sided picture of these relationships. The notion of 'lived' indicates that these aspects are not something static but an on-going movement that relates to the individuals' being-to-the-world. Cognitions and body are intertwined in the teachers' activities. As mentioned earlier, these trustful relationships cannot be taken for granted. Instead, they are something that the teachers in the study work with almost all the time, both while teaching and during breaks. The teacher works in a pre-predictive way. In other words, his or her experience is a part of a whole and the relational work is often performed without the teacher thinking about this work. We understand the other directly, without searching in the life of our inner soul and also without searching in the other's inner life. We perceive the other directly without using cognitive means (Bengtsson, 1988/2001, 1999/2005). I want to stress that these lived aspects of trustful relationships also influence how work in school is organised. For example, when the teacher realises that her students are tired after sitting at their desks and that they need to move, or when the teacher organises a grey and dull classroom in such a way that it becomes a pleasant and attractive working environment, or when the teacher understands that his students' lived time needs to be interrupted by him. These lived aspects influence the relationship between the teacher and the students when the teacher talks to the student without using words and when the teacher uses different spaces to give the students responsibility. They influence the students' conditions for learning when the teacher takes responsibility for the working environment, both when it comes to the physical space and to the relationships between the students. They also influence the relationships between the teacher and the students in the classroom by ensuring that the teachers gives independence when possible and sets boundaries when necessary. The method used in this study involved the observation of five teachers' work with their students. Using this method in a lifeworld phenomenological approach gives an opportunity to describe what is shown, as the lifeworld is connected to a subject that experiences it but also lives and acts in it (Bengtsson, 1988/2001). The strength of a method that involves observation is that it gives access to what the teachers actually do when teaching and not only what they say that they do. However, when taking notes there is a risk that episodes are missed while writing about earlier happenings. Video recording could be a method that decreases this risk. When a particular individual's lived experience is not taken into consideration the trustful relationship does not work and the teacher must put a lot of time and energy into controlling the students, asking them to be quiet, to listen and to work. Controlling the students is part of the teacher's responsibility but the control must be combined with trust by taking the lived experiences of the student into consideration. The students need to trust that the teacher has their best interests in mind in relation to their learning and their working environment, as well as in relation to the relationships between the teacher and the students and the relationships between the students. Relational work is a large part of teaching, and it requires the teachers' attention, rigorous work and negotiations (Frelin, 2010). There is thus a need for more research in this area. The purpose of school is to help students reach the goals in the national curriculum, and trustful relationships between teachers and students form a crucial part of the journey of achieving these goals. The lived aspects are important tools in making this journey as good as possible for the student. Relational work is a big part of teaching and it is therefore important that these aspects (such as describing how relationships between teachers and students in school can be expressed) receive as much research attention as things such as subject content and teaching methods. These situations show that teaching and learning in school are not mechanical acts that can be planned in detail. It is clear that we all are to the world, although in different ways. Teaching and learning are acts that are influenced by the teacher's and the students' lifeworlds. Aspelin, J., & Persson, S. (2011). Om relationell pedagogik. [About relational pedagogy]. Malmö, Sweden: Gleerups. Bengtsson, J. (1999/2005). En livsvärldsansats för pedagogisk forskning. In J. Bengtsson, (Ed. ), Med livsvärlden som grund. [With the lifeworld as ground. Contributions to the development of a phenomenological lifeworld approach in empirical educational research] (pp. 9-58). Lund, Sweden: Studentlitteratur. 1 Teachers who work in grades one to five or six in Sweden commonly teach most subjects. 2 All students in Swedish compulsory schools have a development plan. This plan describes the student's goals in school and is filled in by the student and the teacher at least once each term. The development plan is discussed in a meeting between the student, the student's parents and the teacher, also once every term. 3 Own-work book is a book where the students plan what to do during the week to reach the goals that the teachers have set.